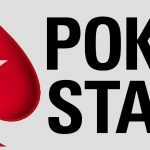 Party Poker has launched a new promotion for small stakes cash game players, giving them the opportunity to play in the site´s biggest tournament. 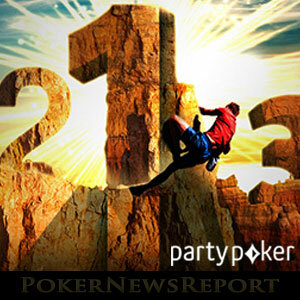 Party Poker´s Title Fight is the site´s biggest weekly tournament. It regularly attracts more than 1,500 players, who battle it out for a progressively increasing guaranteed prize pool. 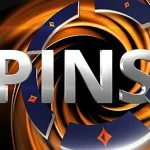 Unfortunately for many wannabee title holders, the $215.00 buy-in for the Title Fight event is beyond their bankrolls and, despite a comprehensive satellite schedule, many smaller stakes players are unable to take part. Now Party Poker is giving players with smaller bankrolls the opportunity to win a seat in the Title Fight event courtesy of a cash game leaderboard competition. The promotion is taking place over the next four weeks and will give away fifteen tickets directly into the tournament each week, plus a further 135 $22.00 satellite tickets each week. 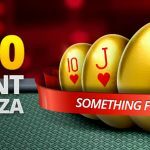 Unlike most leaderboard competitions, Party Poker has placed a limit on the maximum stake levels players can compete at to earn points for the leaderboard competition. Only cash games with stakes up to $0.25/$0.50 count towards the promotion, and although games of PL Omaha are included in the selection of qualifying games, action at Party Poker´s fastForward tables and heads-up games is not. Points for the leaderboard competition are awarded at the same rate as the Party Points used for clearing the site´s first deposit bonus – 2 points for each $1.00 contributed to the rake – and each week´s competition runs from Saturday (@ 00:00midnight CET) to the following Friday (@ 23:59pm CET) up until Friday 31st March. The top fifteen players on the leaderboard each week will win a $215.00 seat into the Title Fight event, with the next 135 players each winning a $22.00 satellite ticket. Please note that in order to take part in the promotion, players have to opt in each week. Your points will not count towards the leaderboard competition if you have not opted in and cannot be applied retrospectively. Title Fight tickets are valid for fourteen days after being awarded, and satellite tickets valid for just seven days. There is no option to substitute tickets won in the leaderboard competition for cash if you are unable to play in a satellite or have already qualified for the Title Fight event. How is that Progressive Guarantee Going? 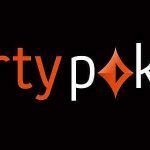 Last month, Party Poker announced it would increase the guarantee of its feature tournament by $25,000 each week the guarantee was beaten the previous week. The initial reaction was excellent and the first week saw enough players enter the tournament to increase the guarantee from $300,000 to $325,000. Since then, the number of players has increased, but not by enough to bump the guarantee up another $25,000 – yet. Last Sunday was the closest the event came to reaching new heights. 1,620 players entered or re-entered the Title Fight event – just six players short of raising the guaranteed prize pool to $350,000. The likely outcome of the new leaderboard competition is that the guarantee will be beaten over the next couple of weeks, and the guarantee raised again – at which point there will be weeks of overlay for players who cash in future Title Fight events. Fancy Some of the Title Fight Overlay? Assuming that there will be a bump in the value of Party Poker´s title fight over the four weeks of the new promotion, it seems like a good time to be playing at the site. If you are not already a Party Poker player, the new promotion gives you the opportunity to earn a high position on the leaderboard while clearing the Party Poker bonus – a 100% match on first deposits up to $500.00. This bonus is not currently available through Party Poker and in order to take advantage of it, players must follow our links to the site, create an account and then fund the account using the Party Poker bonus code “PNREPORT”. Just like the leaderboard points for the new cash game promotion, the bonus will not be applied retrospectively if you fail to use the correct bonus code, so take care when funding your account and hopefully we will see you in the ring for next week´s Title Fight at Party Poker.